Directions: Start by supporting yourself on your hands and knees with a neutral low back position. 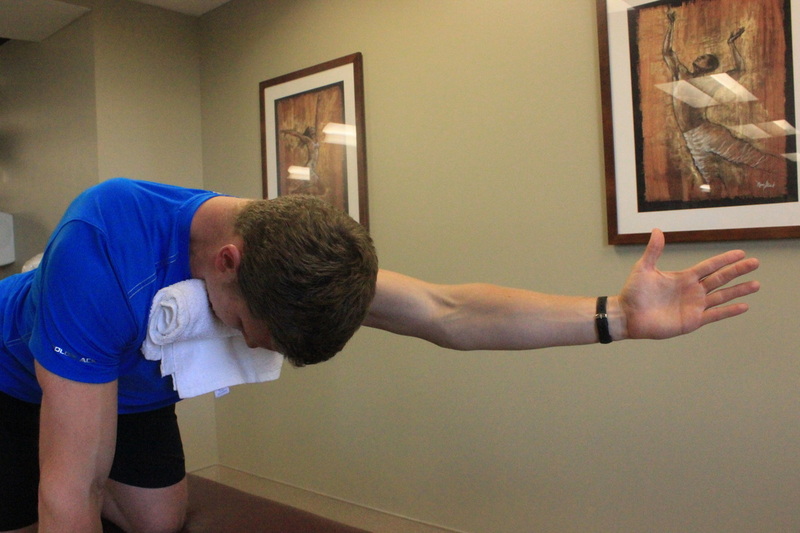 Slowly raise one arm off the table while maintaining the chin tuck (right picture below) and supporting the towel with your chin. Lower the arm back to the starting position and repeat with the other arm.